This collection of writing tasks provides in-depth exam preparation for the German for professional purposes exams on CEFR levels A2, B1, B2 and C1. 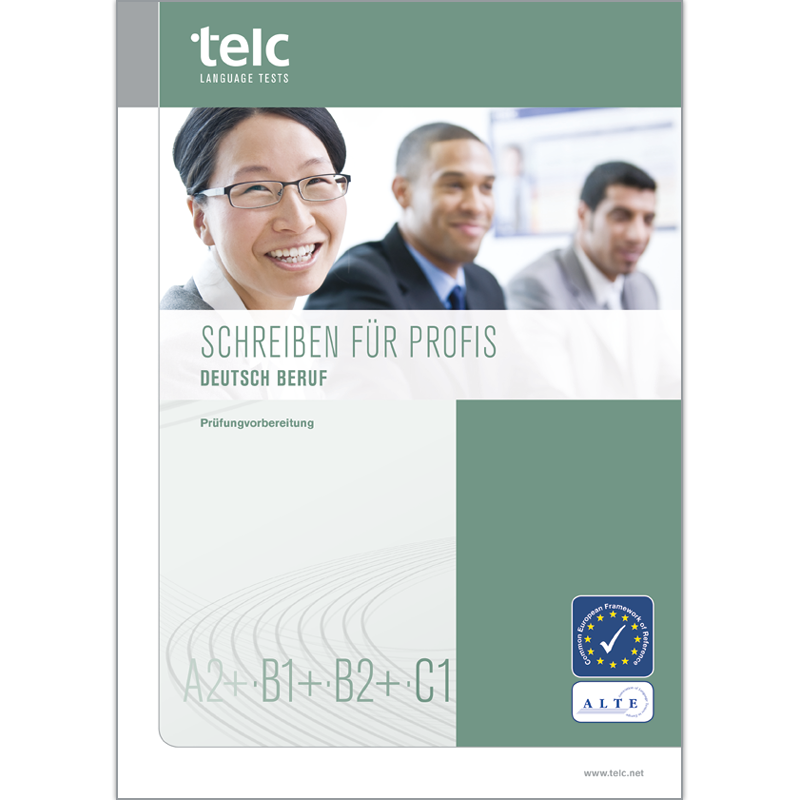 “Schreiben für Profis” (Writing for Professionals) can be used either by teachers or by candidates who are preparing for either one of these exams: telc Deutsch A2+ Beruf, telc Deutsch B1+ Beruf, telc Deutsch B2+ Beruf or telc Deutsch C1 Beruf. This booklet contains 10 writing tasks for each exam, providing examples and practice for various forms of writing found on the job. The tasks selected for this booklet are representative of the writing tasks that can be expected to appear on the exam. Candidates, who have completed all of the tasks in the booklet successfully, will have a better chance at succeeding in the writing subtest. For some examples, there are model answers with rater’s comments that show what is expected of candidates in the writing subtest. In order to keep practice as authentic as possible, the booklet includes answer sheets (photocopiable) that follow the same layout and style as those found on the real test. The booklet also provides a description of the assessment criteria used to evaluate candidate performance.